Our SIM cards hold so much important information about us. Not only do they contain our list of contacts as well as our saved text messages but sometimes, we even use our SIM number for two-step verification when accessing our online banking accounts. Imagine if someone gets hold of your SIM and uses it to steal not just information but also money from your bank account. Que horror! 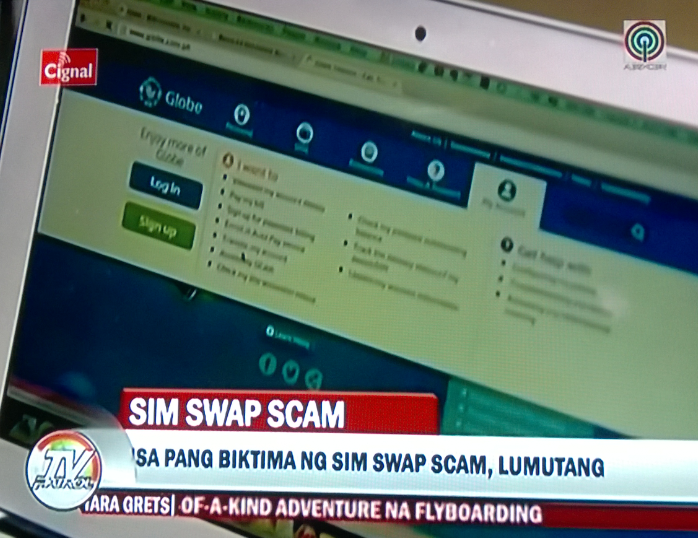 Well, that's exactly what happened to a Globe Telecom subscriber named Ian Caballero who was featured on TV Patrol earlier this evening and on Bandila last week. 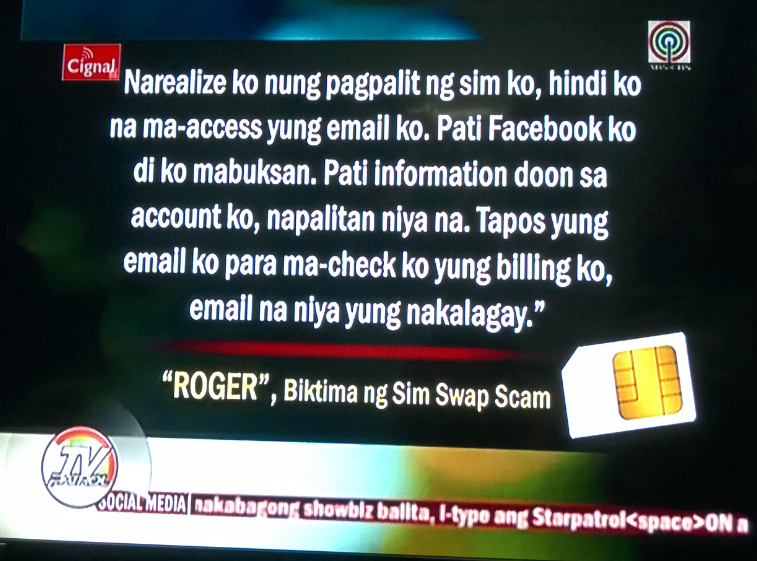 The poor guy almost lost a total of Php 48,000 when a cyber criminal got hold of his BDO online banking account using an illegally acquired replacement SIM card. Good thing BDO was able to reverse the transaction before the money was fully transferred. According to TJ Manotoc's report, the criminal was able to get a replacement SIM at SM North EDSA Globe Business Center by presenting the victim's ID (probably fake or stolen) as well as a sham authorization letter. Since Mr. Caballero uses his phone number for recovering his email password via two-step verification, the criminal was able to get hold of his account and use it to access others including the one for BDO online banking. As of writing, Globe Telecom has yet to issue a full statement as to how the cyber criminal was able to outsmart their business center agents and as to why the real SIM card owner wasn't contacted before the replacement SIM was created and issued. 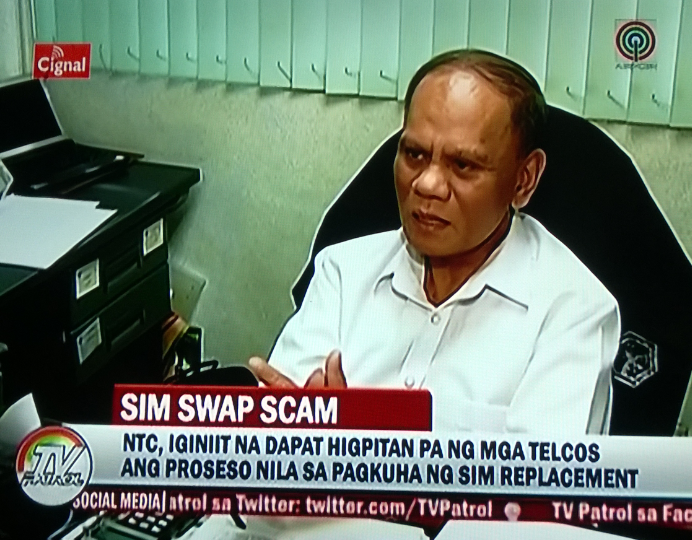 When he learned about this unfortunate incident involving Globe, NTC Director Mr. Edgardo Cabarios said that telecommunication networks should make sure that their SIM replacement process is secure so as not to be easily exploited by criminals. 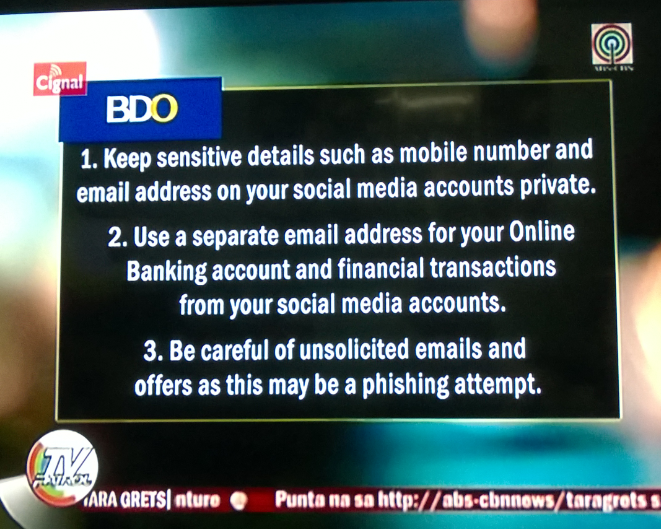 BDO likewise gave tips on how their account holders can avoid being scammed online. But really, when you think about it, only your network can protect you against this terrible scam. I mean, this is not a case of a low-level thief stealing a SIM card from a bag or pulling it out of a smartphone. These techy criminals are doing this by exploiting holes or weaknesses in the SIM replacement process and it's not something that regular subscribers can do anything about. I really hope that this would serve as a wake up call for the network involved to further improve the service for the benefit of the industry and of consumers.